Ferry loop. Dan and I did an overnight trip to Willamette Mission park. Eileen rode with us as far as Buena Vista but then headed back while Dan and I took the ferry across to the Willamette Valley Scenic Bikeway. This is my favorite part of this ride, past the Ankeny wildlife refuge, on up the hills over the river, and then back down to the Independence bridge. River road heading into Salem I could do without, but today wasn't bad. We met a fellow out on a day ride who said he would be doing the loop tour with us. Might have been Steve. 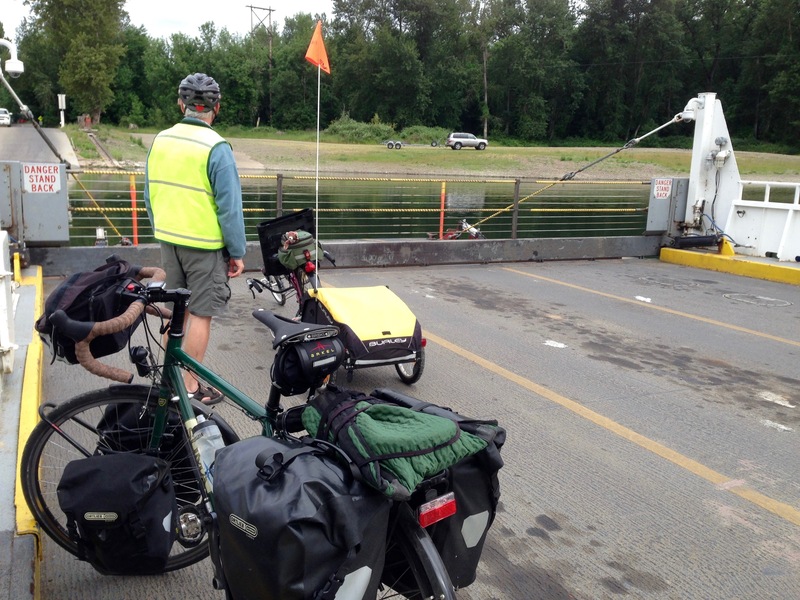 We decided to take the Wheatland Ferry back to make it a loop. The terminal is about a mile north of the park on a nice bike path. The ferry is about twice the size as the Buena Vista ferry. The road on the west bank went up a hill and then took a left on a road that started out quiet, but picked up as we approached Salem. We went through the town of Lincoln, another place I had never been before. 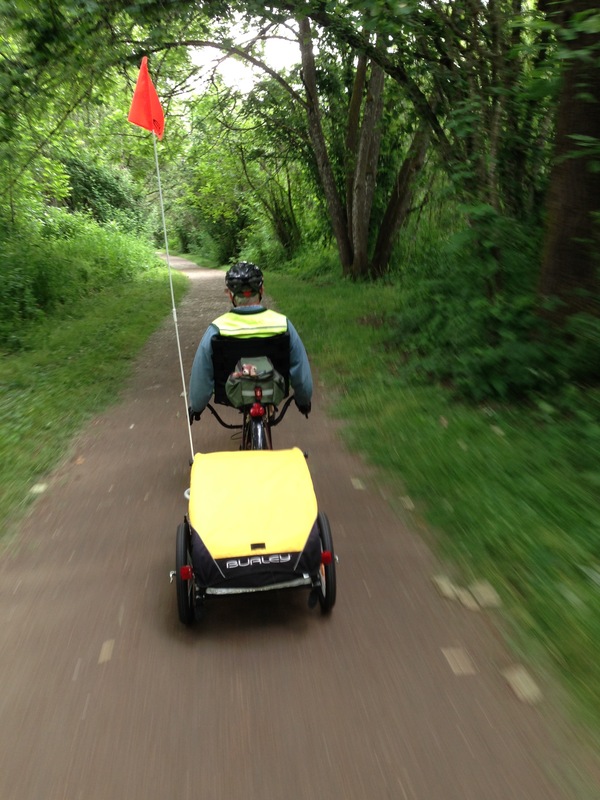 Dan had a taken the WVSB when it was routed on this side of the river and remembered a big hill through West Salem. Google Maps suggested Doaks Ferry Road, which looks reasonable on the map. Sure enough we had some serious climbing. Several times we though we were over it but then it headed up again. Finally we had the long fast downhill, to a very busy highway 22. We only had a mile or less to go on 22, and there was a good shoulder, but still way too much traffic. It was also no fun making the left onto Independence road, but once we did everything mellowed out again and it was a pleasant ride home on familiar roads. Dan and I on the Buena Vista Ferry. Camping at Willamette MIssion Park. 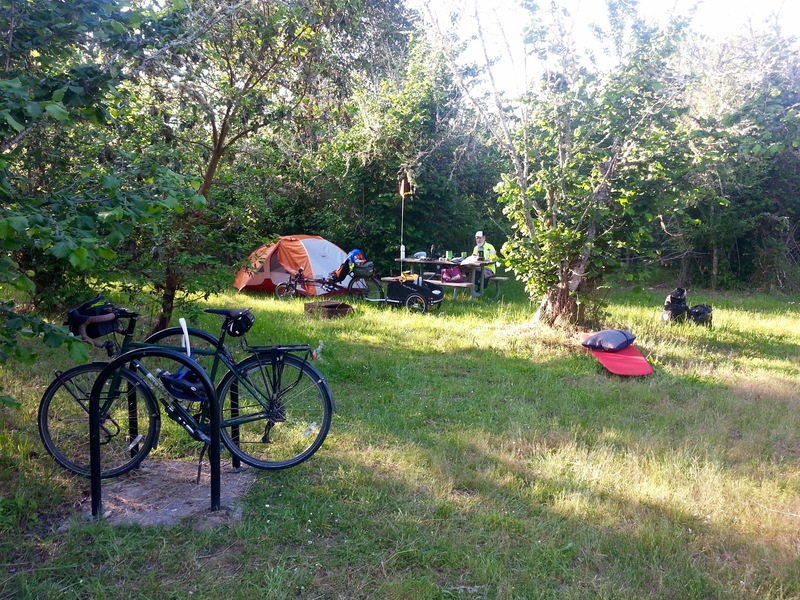 Much of the park is an old filbert orchard and the bike camping is just a small clearing with some picnic tables and a water pipe. The bike rack was a nice touch. Dan had his tent up, but I just used a bivvy sack. 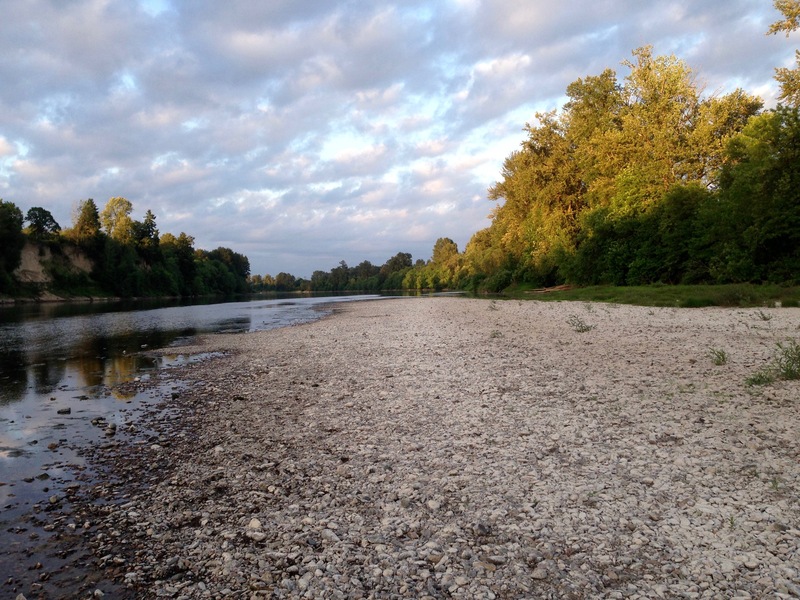 The river was low with a gravel bar that had not been exposed the last time i was here. 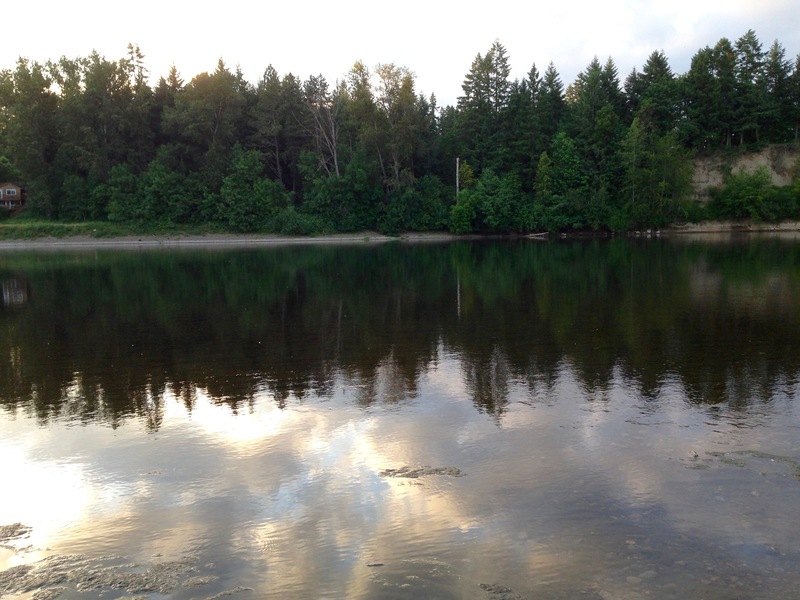 Nice refelection on the river as the daylight was fading. Following Dan on the bike path to Wheatland Ferry. 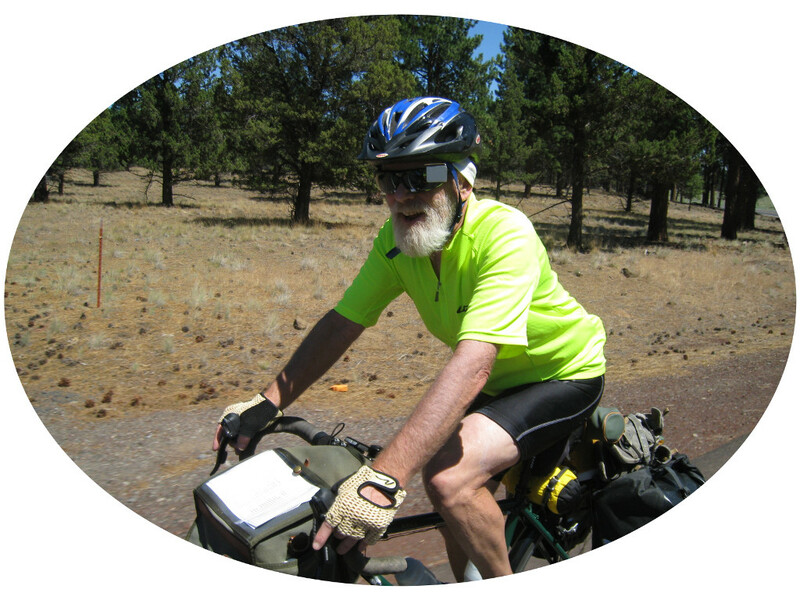 Dan used a Burly trailer on this ride. 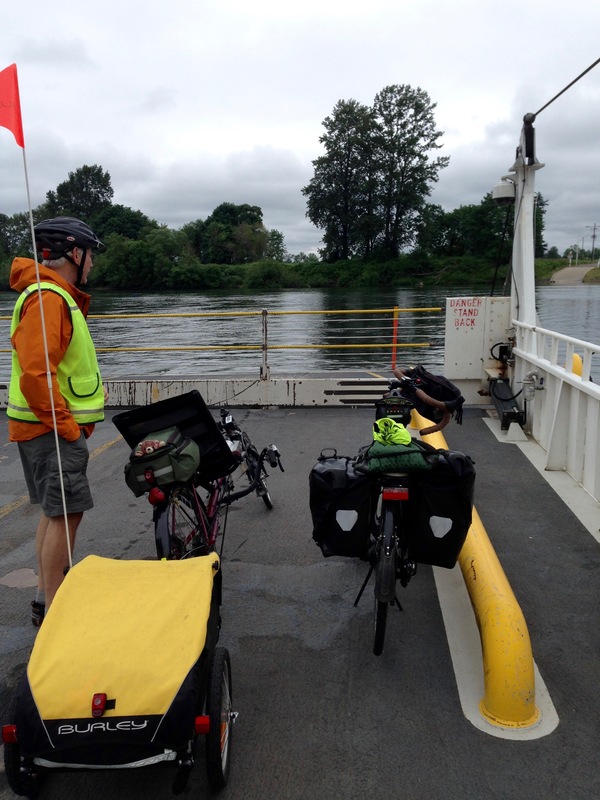 On the Wheatland Ferry heading back across the Willamette.